Far from the raging conflict between the Empire and Republic, on the Outer Rim pirate haven RISHI, a bizarre mystery unfolds. ? Drawn to the planet by an odd administrative error, <name> is believed by the people of Rishi to belong to an intimidating band of outlaws known as the Howling Tempest Gang. ? 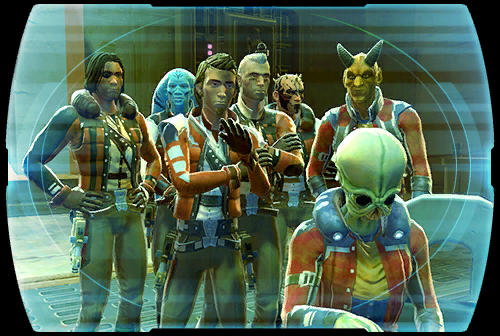 With the source of the deception not yet known, <name> must now confront the smuggler responsible for motivating a deadly gunslinger into coming after the "legendary pirate".... ?